Duarte Abecasis is a partner at Cuatrecasas and heads the public law department. He joined the firm in 2005. His practice in recent years has included, in particular, advising central and local public bodies, and natural persons, on tendering procedures for the granting of public works concessions (motorways); electricity production from alternative forms of energy; the management and operation of port terminals; upstream and downstream abstraction, purification and distribution of water and solid waste; tourism projects in Portugal; and the restructuring of automotive groups. 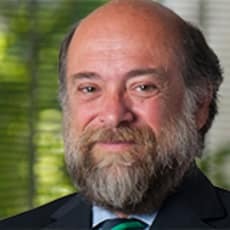 He has been also a legal adviser on matters concerning the concession contracts of casino games of chance in Portugal. Duarte has a law degree from the University of Lisbon Law School (1980) and is a member of the Portuguese Bar Association since 1982. He has been an auditor of the National Defence Institute, vice chairman of the board of directors of Advoc Europe (International Network of Independent Law Firms), and deputy and adviser to the State Department for the Budget between 1981 and 1985. Duarte has been assistant professor of property law at the University of Lisbon Law School between 1978 and 1980, lecturer in the summer courses on the deregulation of telecommunications in the European Union, organised by the Complutense University of Madrid and lecturer in public law subjects at Nova University of Lisbon, and in courses on energy and on tendering procedures at the University of Lisbon Law School.